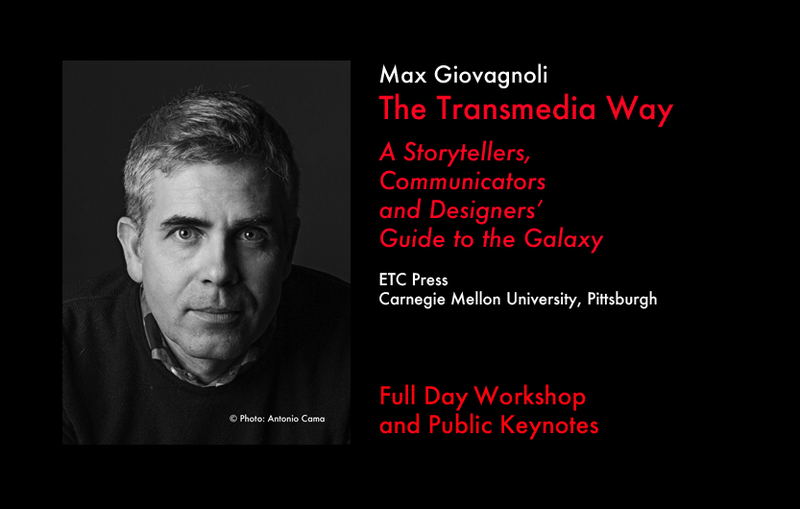 Welcome in transmediasphere, where stories float all around us and inside us. Stories and brands, trends, conflicts, experiences, ways of being. A new ecosystem, rich of technology and complex, deep and charming. A transmediaverse where audiences and creators share multi platform story worlds, stack up pieces from all the messages and products, the works and the experiences mixed in the global flux, with their invisible scripts. Angry Birds and the Marvel Cinematic Universe, Mr. Robot and Games of Thrones, The Dark Knight, Westworld and Hunger Games, Avatar and Assassin’s Creed, LOST and Prometheus, Sin City, Mad Man and Halo, Dexter and Star Wars or brands like BMW and Burberry, Chanel and LEGO, HBO and Coke, IKEA, Harley Davidson and Discovery Channel…. What have in common these gigantic narratives? Making transmedia means creating complex imaginative universes for stories distributed on different media platforms, spreading multilayered plots and managing complex characters for entertainment, information and communications, for brand and public institutions, for cultural heritage and the Arts, for education and for goods. Look around you: screens, devices, texts, brands… Transmedia is everywhere, even if we don’t perceive it, most of the time. And the author, the producer and… the designer? This book is an essay and a professional guide at the same time. It consists of all those masterworks and experiences, and is a “captain’s log” with 100 examples of the most relevant and original transmedia universes invented over the past years, from America to Europe, from Asia to Africa and Australia. The discussion is endorsed by the presence of first rated professionals and academics who list among the most important international producers, authors and scholars in transmedia history. Start reading and switch the drive unit on. Seal the shipboots and be ready for taking off and vanishing, once again, lightning among the stars. The book is declined in a one full-day workshop and in several, thematic keynotes focusing on Transmedia for brands, for the Entertainment Industry, for the Arts, for Goods and for Education. For general inquiries or contacts: maxgiovagnoli@gmail.com.